Every year from June to November, many areas of the United States along the Atlantic and Gulf coasts experience heavy rains, strong winds, and flooding from tropical storms and hurricanes. But did you know that powerful winds are not the only deadly force of hurricanes? The rise in seawater from the storm, known as storm surge, is the greatest threat to life and personal property during a hurricane. The high death tolls during hurricanes are largely the result of storm surge. The three deadliest hurricanes in U.S. history, the Galveston Hurricane of 1900, the Lake Okeechobee, Florida Hurricane of 1928, and Hurricane Katrina in 2005 experienced 8,000, 2,500, and 1,833 deaths, respectively, all primarily due to storm surge. If you’re located in an area prone to hurricanes and storm surge, it’s important to prepare your home for possible flooding, create a family evacuation plan, and know of any area-specific evacuation tips or strategies. 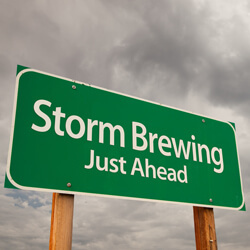 Storm surge can begin to rise the day before a storm hits, minimizing preparation time and cutting off escape routes when low-lying roads become flooded. Another factor that can affect storm surge is the continental shelf slope. Areas with a shallow slope will likely have a greater surge than those with a steeper slope. For example, a Category 4 hurricane that hits the wide, shallow Louisiana coastline may have 20 foot or higher storm surge while a similar storm in Miami will only have an eight or nine-foot high storm surge because the continental shelf has a quick drop-off. 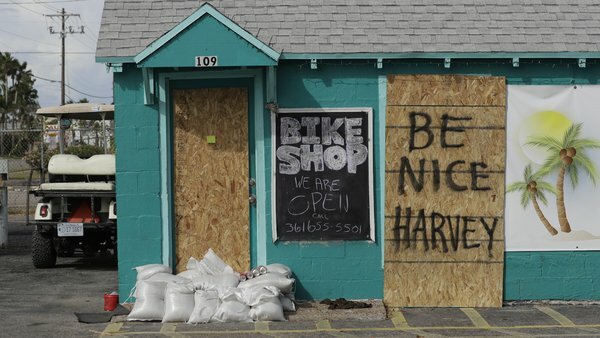 These storm surges and the combination of storm tides, waves, and currents can damage boats and marinas confined in harbors; and salt water intrusion in estuaries and bayous can endanger public health, kill local vegetation, and send animals like alligators and snakes fleeing inland from the flooded area. Many of the densely populated areas along the Atlantic and Gulf Coast coastlines are located less than 10 feet above sea level. Even if you’re located more inland during a hurricane or storm, the storm surge makes it possible for waves to reach your property. Storm surge that is 23 feet or higher has the ability to flood 67% of the United States’ interstates, 29 airports, and nearly all of the ports along the Gulf Coast. Invest in Sandbags – Place sandbags around your home’s foundation and near vents or other openings to prevent water from entering your house. You can also invest in aluminum or glass flood panels to install around vents. Prep your Basement – Flooding will enter your basement first, so elevate any appliances like the furnace or boiler, hot water heater, and electric panels. Make sure to install backflow plugs and valves to prevent water from entering other parts of your home. These tools can help stop toilets, showers, and bathtubs from backing up water. Also, make sure your sump pump is working properly then install a battery-operated backup in case of power outage. Shut Off Utilities – Make sure you know how to turn off your gas and electricity. Also, preemptively turn off any fans, air conditioning units, or forced air systems in your home. You can also lower the temperatures of your refrigerator and freezer. Buy a Backup Generator – Keep a backup generator in your home — avoid keeping the generator inside, keep at least 20 feet away from windows or doors, and never plug it into a wall outlet. Secure your Home – Lock all doors, windows, air vents, and fireplace dampers. Also, reduce damage by securing & reinforcing your home’s roof, windows, and doors, including the garage door. Prep for Falling Objects – Trim or remove any damaged trees from around your home, and secure loose gutters & downspouts. When you’re in a storm always make sure you have an emergency evacuation plan in place to ensure your family’s safety. Keep a supply bag prepared with flashlights, batteries, cash, a first aid kit, medication, copies of important identification and information, and a battery-operated radio. In case of an evacuation, keep your car’s gas tank filled, locate local evacuation routes, and know of a safe place to go. Myth #1: 911 is on the Way – Water from a storm surge can rise quickly, often several feet per minute, and emergency services won’t be able to reach you as water rises. 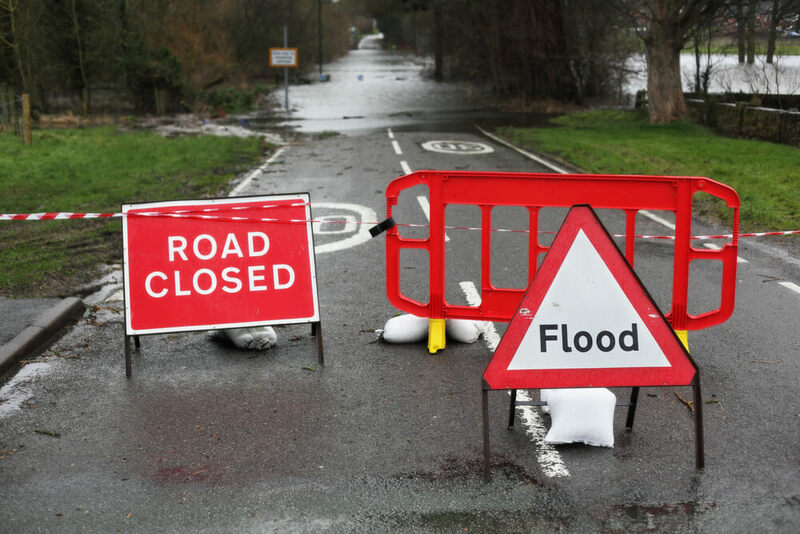 Cars aren’t able to maneuver the roads or through water and boats cannot easily navigate. Myth #2: Towels Under Doors Will Stop Storm Surge – The water from a storm surge moves at an incredible speed and the force can actually burst through doors, leaving you in flood water that you can’t move through. Cramming towels under the door jam won’t prevent water entry. Myth #3: You Can Maneuver through Rushing Water – Unfortunately, most cannot move through the feet of water that can enter your home. Many who have died during a storm surge weren’t able to get out of the room they were stuck in. Myth #4: You’ll Be Warned In Time to Escape – Despite common belief, storm surge is not an incoming wall of water towards the shore, but is actually a sudden rise of several feet of water over a period of time, so officials may not be able to provide warning. Don’t Wait! Prepare Your Home for Hurricanes and Storm Surges Now! With hurricanes and storms being a regular occurrence along the Atlantic and Gulf Coast coastlines during the summer and fall, it’s imperative that you prepare your property and family against storm surge. Storm surge is a leading contributor to hurricane deaths and they can arise quickly, eliminating the opportunity to safely evacuate the area. If you experience water and flood damage as a result of a storm surge, call the professionals at 911 Restoration at (877) 488-7988 or complete our online contact form to reach one of our restoration professionals today!